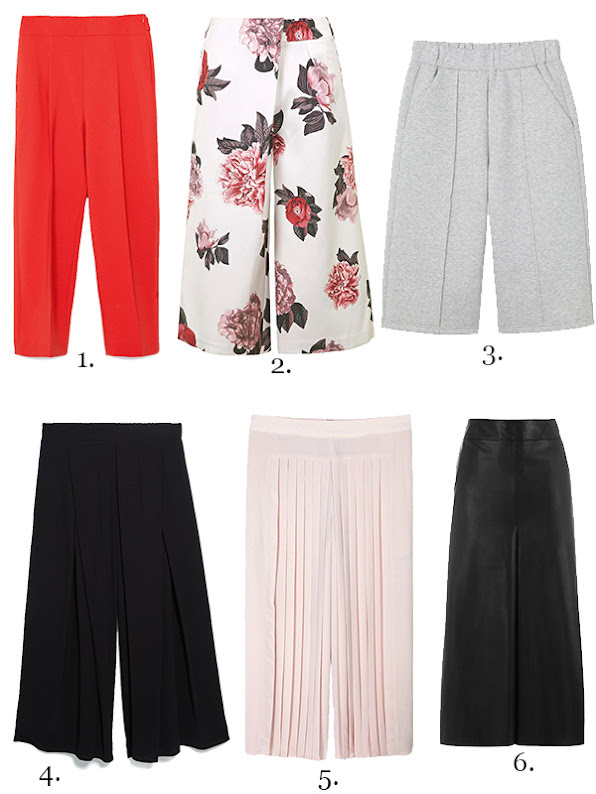 A new trend that I've seen lately are culottes pants - boxy, flowy, and wide legged pants that hit at the mid calf. They remind me of traditional Japanese menswear, particularly Hakama pants, but just shorter. Although I think this trend looks sophisticated if styled right (such as how Reiss has styled it above with a slightly loose fitting blouse), I do think that it is one of the more difficult trends to pull off. 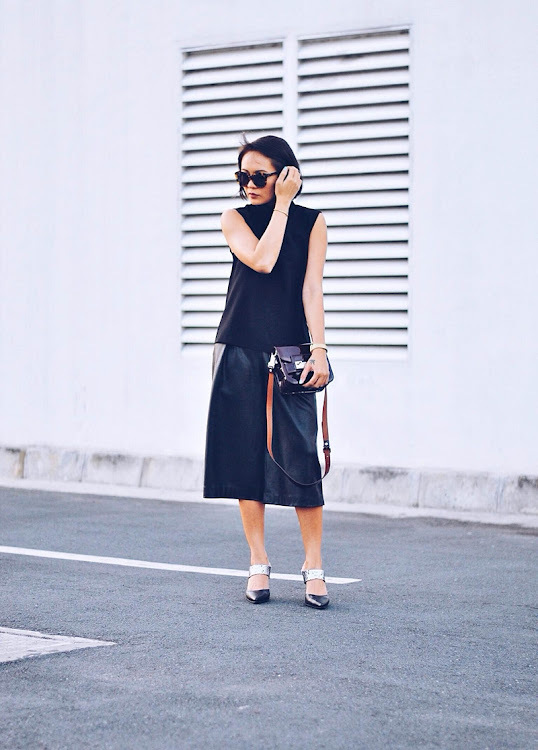 Particularly for petite girls, culottes could make a short girl appear even shorter. However, Wendy from Wendy's Lookbook pulled off culottes beautifully by choosing a pair that sat higher on the waist. Click through for some culotte street style and my six picks. 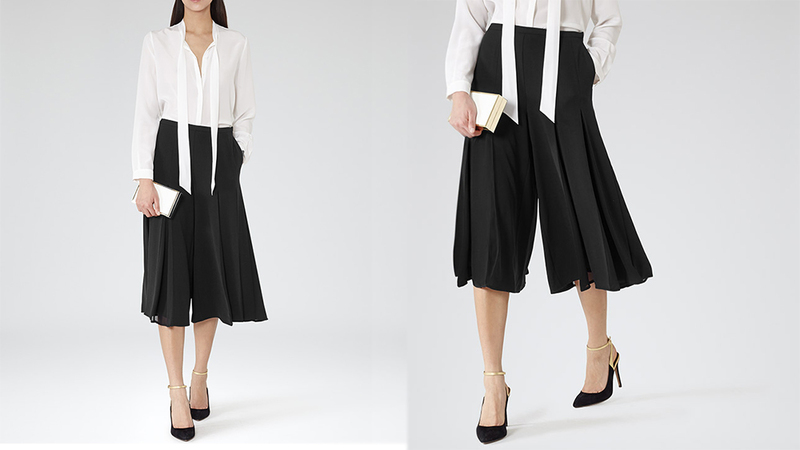 I particularly like the pleated and flowy culottes because then it gives the illusion that it's just a skirt. Also, I do think unless you're supermodel tall, heels are a necessary for this look because it tends to negate the fact that the culotte pants cuts right at mid calf, making any leg look shorter.